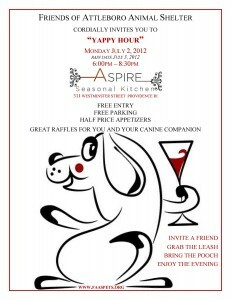 Please join us at our upcoming events: All Proceeds from FAAS events benefit the Friends of Attleboro Animal Shelter. 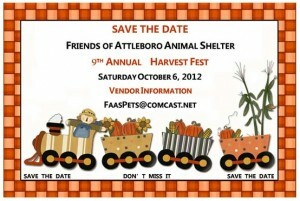 The Friends of Attleboro Animal Shelter (FAAS) is a 501(c)3 non-profit, all volunteer organization. We donate our time, and our hearts to the many Cats and Dogs in Attleboro, and our surrounding communities. We are committed to nurturing, and promoting the animal-human bond, and creating a community where our relationship with companion animals is guided by compassion. Our dedication and commitment is achieved through adoptions, community awareness, fostering, and caring for companion animals until loving homes can be found. 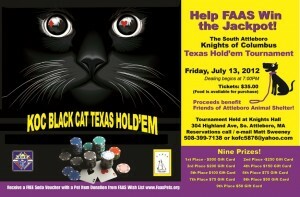 Even if you are unable to attend our events, you can still help by making a donation now or learn how you can contribute to the Lacey Lou Fund and help animals with end-stage illnesses. 1-800-PetMeds is America's Largest Pet Pharmacy and has HeartGard for less. Thank you to our friends at Reboot My Garage and Senior Home Guide!